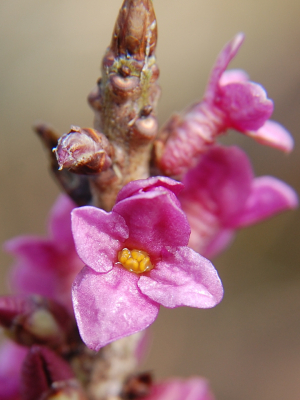 Observation - Mezereon - UK and Ireland. Description: Having a good year. Just about the only thing in flower at this time. Very fragrant, flowers appear before the leaves. Having a good year. Just about the only thing in flower at this time. Very fragrant, flowers appear before the leaves.